Deutsche Post has a fleet of 3,400 StreetScooter EVs that could be equipped autonomous driving technology from ZF and Nvidia. MUNICH -- U.S. chipmaker Nvidia, German supplier ZF and logistics giant Deutsche Post DHL have partnered to deploy a test fleet of autonomous electric delivery trucks starting in 2018. The trucks will be outfitted with ZF's ProAI self-driving system, which is based on Nvidia's Drive PX technology, the IT firm said at the GPU Technology Conference here on Tuesday. The company said that size of the fleet and the first cities that will test the self-driving trucks will be announced later. 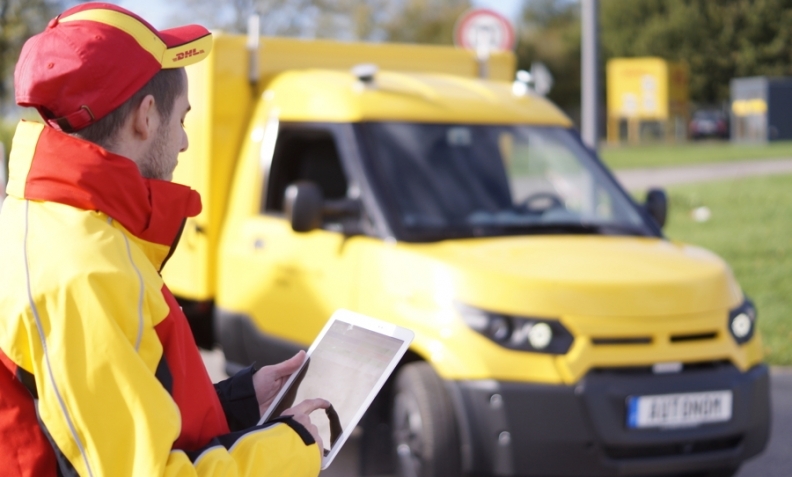 The Deutsche Post StreetScooter electric vehicles chosen for the pilot will be equipped with ZF’s cameras, lidar and radar, which will all feed into the supplier's ProAI system. That system can enable the vehicle to use artificial intelligence (AI) to understand its environment, plan a safe path forward, proceed along a selected route and park itself. The aim is to ensure deliveries can be made with greater accuracy and safety, and at lower cost, Nvidia said in a release. Taking packages from a central point to their final destinations is considered the most complex and costliest aspect of courier and e-commerce deliveries.